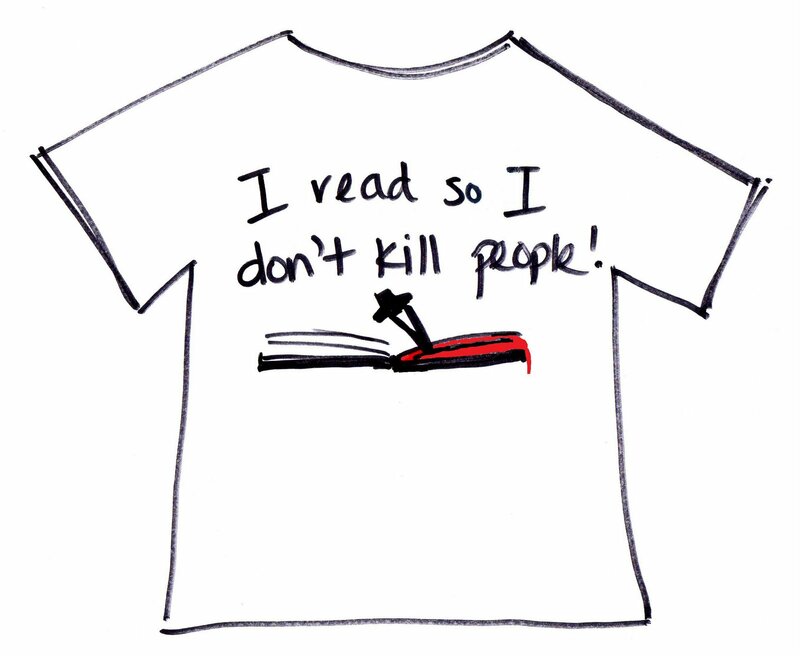 celebrity blogger t-shirts | Kris + Books = Good. *Sometimes*. Due to the colossal popularity of the Kris ‘n’ Good Books product line/s, we are proud to introduce the first of our Celebrity Blogger T-Shirts! Size: Huge & Comfy. Perfect for those who love to lounge about reading all weekend. Cost: To be advised on enquiry. This entry was posted in kris 'n' good books stuff, orannia, randomness. Bookmark the permalink. 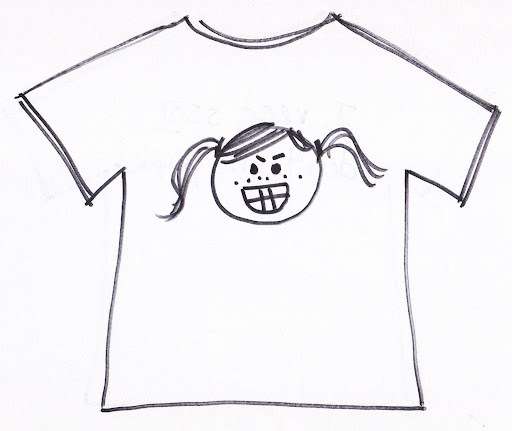 Can I request to have my image on the t-shirt rather than you? Not that your face isn’t gorgeous, but I’d rather have the blood soaked book on the front and my dino on the back. Wave, are you trying to pimp me out?? How would that work from Canada do you s’pose?? Hmm, interchangeable avatars. I like it, Jen, although it would still need to have the ‘By K ‘n’ G B’ trademark on there somewhere.Nice save, btw. I AM gorgeous. oh it’s loverly. I’d buy it.